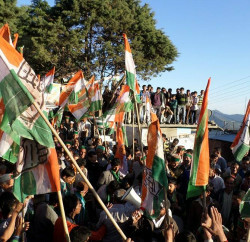 Shimla: Ahead of Lok Sabha election, the state congress has readmitted 40 rebel leaders, who were expelled reportedly for their anti-party activities during the state assembly election. HP High Powered Committee of Gurkirat Singh and Vidya Stokes and G.S.Bali, after examining of list submitted by the HPCC disciplinary Committee, admitted seven leaders, who had contested assembly election Digvijay Puri-Dharamshala, Rajiv Gautam-Una, Shiv Haripal-Kutlehar, Rattan Singh Kashyap-Pachhad, Mast Ram-Karsog, Vijender Dhiman-Jawalamukhi and Pankaj Kumar into the party fold, while applications of Harish Janartha, Singhi Ram and Rajinder Karpa are still pending for further explanation with the party. Committee has rejected the applications of Hardeep Singh Bawa and Puran Chand Thakur. Bawa had contested assembly election from Nalagarh segment, while Puran Chand Thakur had contested election from Drang segment against Kaul Singh Thakur and secured over 7000 votes. 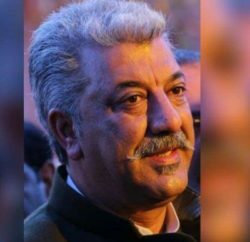 In a press communique, Rajneesh Kimta, Gen Secretary State Congress elaborated that the committee has rejected applications of rebel for strong opposition within party and for having criminal record, which the committee is also of the view that re-induction into the party may harm party interest. Kimta stated that leaders can raise their grievances by giving their representation within 7 days to the Committee.